The serene beauty of beaches in Kovalam in Kerala would usually imply a holiday, relaxation and an escape from the daily grind. But not when the best minds in India – responsible for charting the future track of India’s education and strengthening the country’s knowledge society – get together. A gathering such as this can only mean business. For three days, Vice Chancellors, academicians and education entrepreneurs took time off from their daily duties to share ideas and experiences at the digitalLEARNING Higher Education Knowledge Exchange. In line with the Prime Minister’s ‘Digital India’ vision, the 10th anniversary edition of one of India’s biggest ICT event – eINDIA 2014 – was organised from November 14 to 16, 2014. The three-day summit, held in association with the Department of Information Technology, Government of Kerala, at the exquisite The Leela hotel, saw an enthusiastic participation of nearly 400 delegates from all across India. P K Kunhalikutty, Minister for Industries and Information Technology, Government of Kerala, inaugurated the summit that hosted delegates and speakers from 15 states including Maharashtra, Goa, Madhya Pradesh, Odisha, Telangana, Haryana, Meghalaya, Tamil Nadu, Bihar, New Delhi and Puducherry. The event took into account various topics pertaining to the higher education sector through extensive panel and round table discussions. Vice Chancellors from central, state, private and deemed universities deliberated upon ongoing initiatives, short-term and long-term objectives for strengthening the country’s higher education system and the challenges and scope for accomplishment of these goals. Keeping in view the inevitable role of technology in enhancement of the teaching-learning experience, the event also engaged several solution providers from the industry who shared their innovations in the domain. Major areas of deliberation included role of technology in redefining pedagogy, examination management, skill development initiatives and the importance of research-based education in strengthening the knowledge society. These were the compelling reasons behind holding this summit and engaging educationists, policy makers and members of India Inc involved in education solutions. IT majors like Vodafone, CA Technologies, Akamai, Microsoft, HP, Accenture, Wipro, Samsung, Adobe, Canon, Hitachi and many others were part of this mega event. Besides deliberations at the conference, exhibitions gave them the opportunity to showcase their products and services. To achieve the two-fold objective of creating skills and making them employable, what are different ICT initiatives your department has taken? ICT is a very important ingredient for running of our department efficiently and reaching out to our stakeholders. For example, in skills training, we have engaged lot of project implementing agencies who give training to the people. It is right from the enrollment, their desk operation, to assessment, and certification. We have developed an application through NIC and are trying to further improve it. In technology education in ITIs and diploma areas, for registration of students to enrollment to examination to certification we have developed applications and are improving it further. What are the different challenges that you have been facing with regard to the successful implementation of these initiatives? Challenges are enormous. The recent being changing all these applications to mobile-based technology, as students and different stakeholders are today carrying smart phones. How do you propose to overcome these challenges? We are working with different stakeholders and application providers. How many ITIs are there in the state? Presently there are 35 government ITIs and over 600 private diploma colleges with over 40,000 students. How has this concept of digital learning helped your organisation and what are the steps you are initiating in this direction? We have already implemented many applications in our department and we are now focusing on process integration. The other part is that of content development and we are doing this by involving teachers, content developers and all the others who can help. We want to make ‘digital’ simple, available and affordable. The country’s young population has an immense appetite for education and with the rising middle-class, an increasing number of this young populace are now able to pay for it. Apart from the demographic dividend, India will also have the second largest number of graduates by 2020, behind China and ahead of the USA. The Organisation for Economic Cooperation and Development (OECD) predicts that in 2020, 200 million of the world’s 25 to 34-year-olds will be university graduates and 40 per cent of these will be from China and India, representing a huge proportion of the global talent pool. The government has massive plans for revamping higher education in India which includes a complete overhaul of several aspects including regulatory affairs governing this sector. At the digitalLEARNING Higher Education Knowledge Exchange 2014, experts got together to deliberate upon the various facets of higher education in India and helped create a better understanding of the intricacies that exist in this domain. Yours is a university majorly involved in imparting skill sets required by your students. How do you see Digital India? I feel that the terms ‘Digital’ and ‘India’ don’t go together. If we put them together, then ‘digital’ is actually involving digitisation in every sphere of education, e-governance, administration, resources and many other aspects. The data first needs to be digitised and will have to be made accessible to everyone. We also need to understand that India is still far behind than other developed countries. Adoption of ICT by other countries is about 55-60 per cent while in India it is hardly 5-7 per cent. The government would be spending about $20 billion as an investment for this programme over a period of 5-6 years. Its huge money and will have to be spent rightly. Higher education is one area that government is looking at for digitisation of books and e-books to be made available. The summit also acted as a platform where both industry and the users, the educationists, came together to share what they have to offer to take higher education beyond stereotypes. Former Telecom Secretary and President, NASSCOM, R Chandrashekhar, stressed in his keynote address that higher education in India can happen only if India adopts ICT in education and uses mobile phones as the device of empowerment. “We need to look not just at the technology and solution but also the process for the deployment of technology,” he observed. Vice Chancellors, who are catalysts of change in higher learning, showcased how they had introduced innovations with ICT in their respective institutions. On the other end of the spectrum were industry representatives who demonstrated their products and technology that can change the future of higher education in India for the better. One critical area where technology is redefining institutions is assessment and examination management as they are not only crucial but a time-taking and costly process. 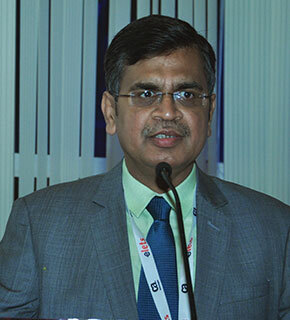 Saran Gangan, Vice President, Business Development, TRS Solutions, said that as the number keeps growing, manual process becomes a challenge. To ease pressure on the system, several digital solutions are making their way into the Indian market. Another area that was hotly deliberated upon was redefining skill development initiatives to get India’s youth job ready. In this context, education was seen through the prism of skill development, upskilling and reskilling. Of course, this issue had always gripped the imagination at individual levels. Finally, it has gripped the imagination of policy makers, universities and schools today. India is home to about 600 million people under the age of 25 years and the government has set a target of skilling 500 million people by 2020. With winds of change blowing across different sectors, pedagogy in higher learning too is witnessing transformation. 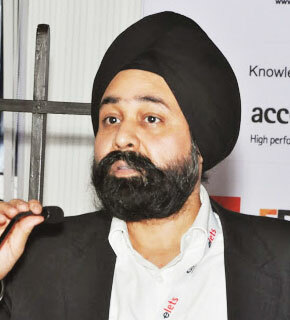 Jasdev Singh, VP – Business Development, WizIQ, called for bridging the gap between industry and academia. “The biggest challenge is not teaching but teaching how to learn. Academia is a research based and knowledge based outcome. Industry is skill-based. 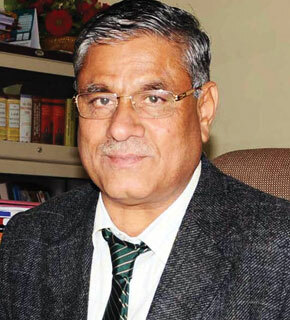 The gap between industry-academia has to be bridged,” he observed. But adopting new technology over conventional methods of teaching has its own challenges. Prof. R V Raja Kumar, VC, Rajiv Gandhi University of Knowledge Technology, Andhra Pradesh, informed of the ways that their university is using new technology. “Many students find many of digital classes boring. It has to be made interactive. Therefore, innovative measures need to be taken to take everyone together in the journey of enhancing education standards with ICT and promoting inclusiveness in education,” he said. Calling for collaborations and joint ventures between academia and industry including developing curriculum, Prof Rangappa of Mysore University stressed on the need to maximise benefits for all stakeholders. ”Industry wants immediate solutions and looks at profit maximisation while the academia prefers long term solutions,” he cautioned. However, it is not that corporate India gains all the time, believes Prof. Kankanala Rathnaiah, Vice Chancellor, Dravidian University. “The importance of technological innovation and ICT in education can be gauged from the fact that they directly impact the standing of an institute,” he noted. 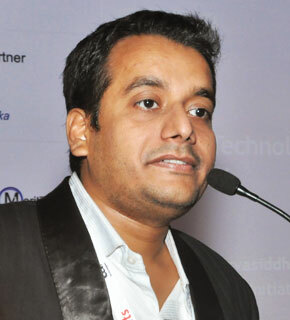 “Even when companies come for placements, the presence of ICT initiatives in the campus affects the process a lot. Companies are always more impressed with institutes which are constantly innovating and introducing new technology with students well-versed in them,” he added. “I advise educators across the globe to use the latest and the best technology available anywhere in the world in the field of education. 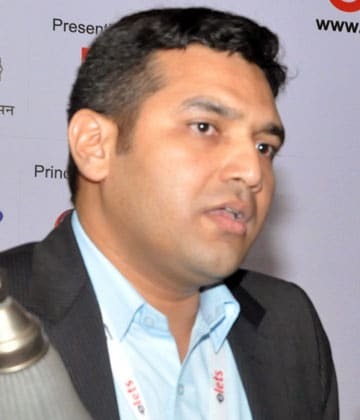 Online, virtual and elibraries within the system can cut across boundaries and take education to the next level,” said Venkatesh Sarvasidhi, Head- Academic Initiatives, Microsoft India. “In a country like India which is full of so much diversity, education should look at such initiatives that can bring a fresh start to the education drive,” he added. 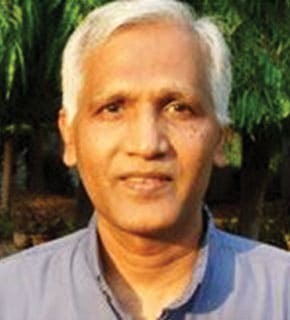 Pointing out to the low levels of literacy and higher education among the minority community, particularly among Muslims, Prof A H Rajasab, Vice Chancellor, Tumkur University, called for educational institutions to play a big ger and more constructive role to follow the inclusive philosophy in true spirit for the country to succeed. How can one differentiate your university as compared to others? Tumkur has a reputation of being an intellectual city in Karnataka. We have introduced a SAKALA System, wherein students as well as teaching and non-teaching staff can have access. If a student wants a mark sheet, he can login in to the system and apply for it. The mark sheet would be delivered at his home. What are your views with respect to the Digital India project? Digital India is a marvellous concept. Through this concept, we connect all the universities, different colleges up to the grassroot level, starting from primary education up to higher education, they can be digitally connected. And because of this, it is possible to have virtual classrooms and expose our students to the best teachers of the world for a particular subject or specialisation. We can also have virtual library and can access the best resources. How did you feel at eINDIA 2014? The experience had been good and I am very satisfied. What has impressed me the most is that organisers have carefully organised the whole programme, inviting ICT professionals, VCs and government officials. And we had enough time to interact which is very difficult at our workplace. An innovative measure showcased at the digitalLEARNING Higher Education Knowledge Exchange was the Z-A technique adopted by Sri Siddhartha Academy of Higher Education, Tumkur. Vice Chancellor Dr P Balakrishna Shetty said the academy drew inspiration from the foreign universities while implementing it. No regular classroom teaching happens in this technique. Siddhartha Academy instead involves students in more ways through discussions, debates, lectures, walkathons, afforestation etc. 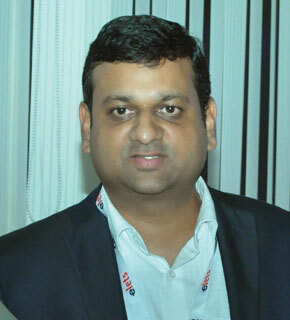 Supreeth Nagaraju, Sales Head- South India & Sri Lanka, Education- Adobe Systems, stressed on using technology to attract students as well as being innovative on regular ICT platforms so that students can showcase their innovations. One thing that everyone seems to have concurred is that meeting global standards will require innovation, not just in technology, but also in the mindsets. Through various deliberations and brainstorming at the digitalLEARNING Higher Education Knowledge Exchange in Kovalam at Kerala, we have tried to bring these ideas to one common platform so as to aid in the betterment of educational standards. This, we believe, is in the interest of stakeholders and the future of the nation at large.